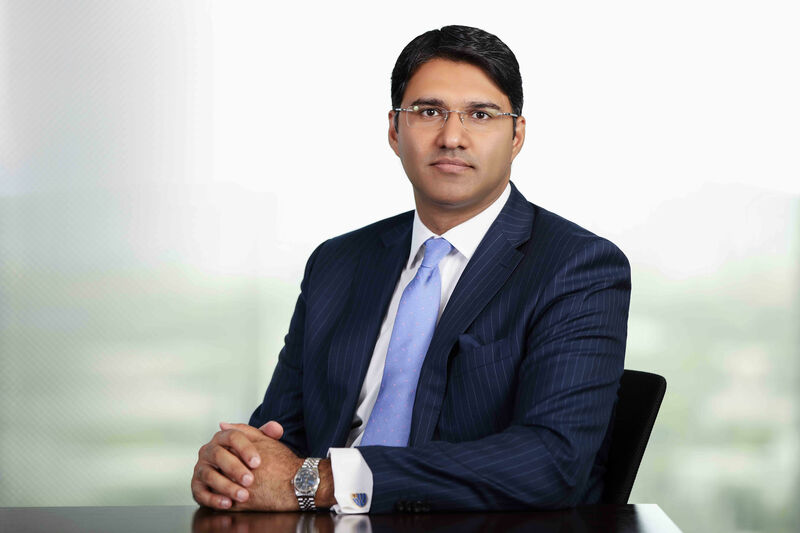 Dubai, 10 September – Global law firm Clyde & Co has today announced the appointment of Taimur Malik as a partner in its Middle East corporate practice. Taimur will be based mainly in the firm’s Dubai office and support clients across the region and in Pakistan. Taimur joins from US law firm Curtis, Mallet-Prevost, Colt & Mosle where he was a partner in the Dubai and Muscat offices. Prior to that, he was regional head of the legal department for Vale, one of the world’s largest metals and mining companies, overseeing legal matters for high profile projects in Oman and in the wider Middle East region. Taimur is a highly experienced corporate lawyer. He has advised governments, sovereign wealth funds, financial institutions, listed companies and Fortune 500 companies on a wide range of contentious and non-contentious matters in countries across Asia, the Middle East and Africa. Taimur is recognised as a leading individual by Legal 500 and ranked by Chambers and Partners. Clyde & Co has the largest corporate practice in the Middle East with over 20 partners and 70 experienced lawyers and has forged a reputation as a go-to firm for M&A and JV transactions. Taimur’s hire is the latest phase of growth for the practice, as the firm bolstered its corporate offering with three other partner hires in the past year: Glenn Lovell in Riyadh, Dino Wilkinson in Abu Dhabi and Marla Valdez in Muscat. As one of the region’s few genuine full-service firms, Clyde & Co acts as a ‘one-stop shop’ and advises on a number of significant acquisitions and divestments for listed companies, private equity firms and international and domestic investors. It has assisted clients in realising their investments, gaining access to new markets and achieving their corporate objectives for more than 25 years in its key focus sectors. Clyde & Co has the largest presence and is one of most experienced international law firms in the Middle East with over 40 partners and 400 staff, based full time in Abu Dhabi and Dubai in the UAE, Doha in Qatar, Muscat 1 in Oman and Riyadh in Saudi Arabia, providing a full-service commercial offering of local specialists across most business sectors and practice areas. 1 Office of Fatma Al Mamari Advocacy and Legal Consultancy Firm, in association with Clyde & Co.
Editor’s Note: Mr Malik is also the Founder of Courting The Law and is behind various other legal literacy and access to justice initiatives in Pakistan including Mohtasib.pk and the National Law Scholars Programme. He is also a member of the Government’s Overseas Pakistanis Advisory Council. Its a matter of pride and privilege for every member of legal fraternity in Pakistan that a world famous law firm like Clyde & Co has selected Taimoor Sir as its partner. You truly deserve it.